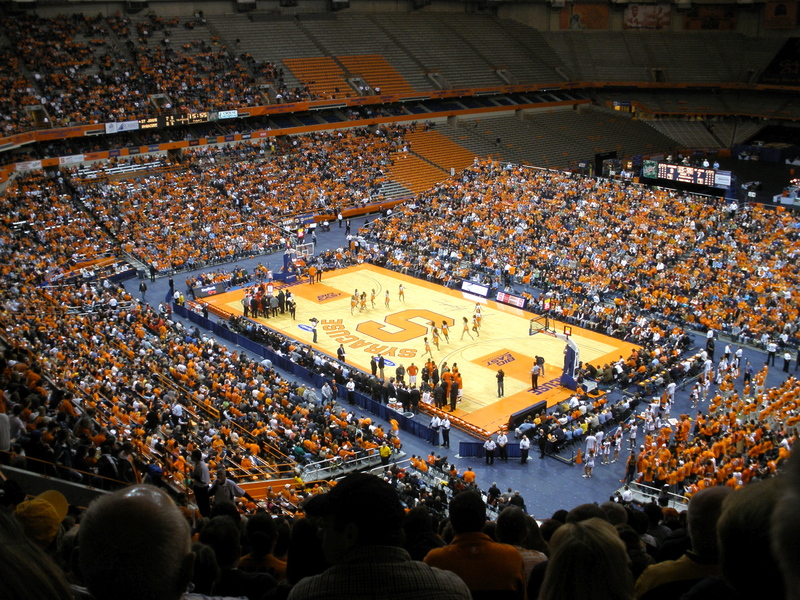 Cornell returns to the Carrier Dome tonight, the site of the program’s greatest moment in the 2010 Sweet 16. In honor of the first game of the Ivy season tonight between Cornell and Syracuse, we got in touch with our friends over at SUJuiceOnline.com to see what the Big Red will be up against. Wesley Cheng was nice enough to give us a scouting report on the Orange. Our exchange is below. If you want to read up on Cornell, check out Jake Mastbaum’s season preview of the Big Red here. IHO: What kind of team is Syracuse this year? Will they compete for the ACC title? WC: Syracuse is going to be in the mix for the Final Four again this year. Although they lost three key players from last year’s team — Reigning NBA Eastern Conference Player of the Week Michael Carter-Williams, Charlotte Bobcats’ James Southerland, and Brandon Triche — they still have plenty of talent to compete in their first season in the ACC. They were picked No. 2 in the Coaches’ Poll behind Duke and will face the Blue Devils twice this season in a home-and-home that could determine how the standings end up at the end of the regular season. IHO: Who should we be on the lookout for? WC: There are two that will stand out, albeit for different reasons. Tyler Ennis is Syracuse’s new starting point guard, taking over for Carter-Williams. Ennis has showed a lot of poise in preseason and SU doesn’t have a true backup point guard behind him. Syracuse coach Jim Boeheim said he was going to play between 35-38 minutes a game as a result, which is a lot to put on a freshman. Syracuse will go only as far as he takes them. The other guy to watch out for is ACC Preseason Player of the Year CJ Fair. The senior from Baltimore thought briefly about jumping to the NBA before coming back for his senior season. He can score in a variety of ways, including a silky smooth 3-point shot, and a lefty floater that is very effective. He’s also worked on his post game in the offseason. I expect him to be in the 18-8 range this year. IHO: Predictions on the game? WC: It’s going to be a sloppy first half as everyone gets used to playing with each other. The 2-3 zone is always a tough thing to learn, and Syracuse has three new starters to integrate into that system. I expect Cornell to hang with Syracuse before the Orange ultimately pull away in the second half for a 20+ point win. Check out more from Wesley Cheng and The Juice at SUJuiceOnline.com or on Twitter at @TheJuiceOnline.